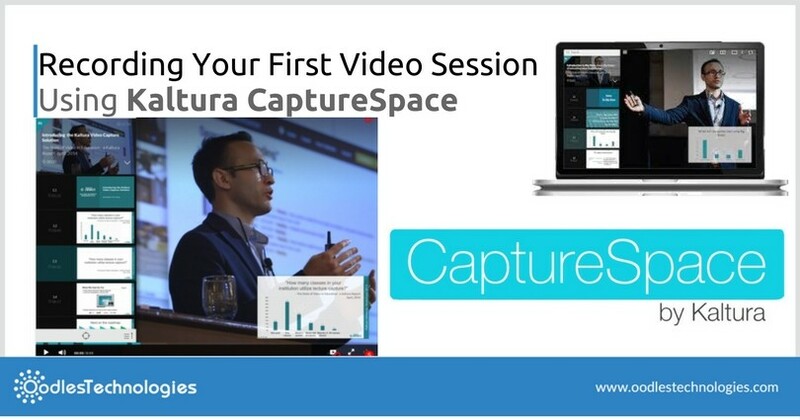 Kaltura which happens to be a leading Online Video Platform has recently launched a standalone tool for high-end audio/video recording called CaptureSpace. Kaltura CaptureSpace provides turnkey solutions for recording audio/video streams and uploading them to your Kaltura media library. With Kaltura CaptureSpace, you can record various lectures, meetings, presentations, conferences and turn them into interactive videos. 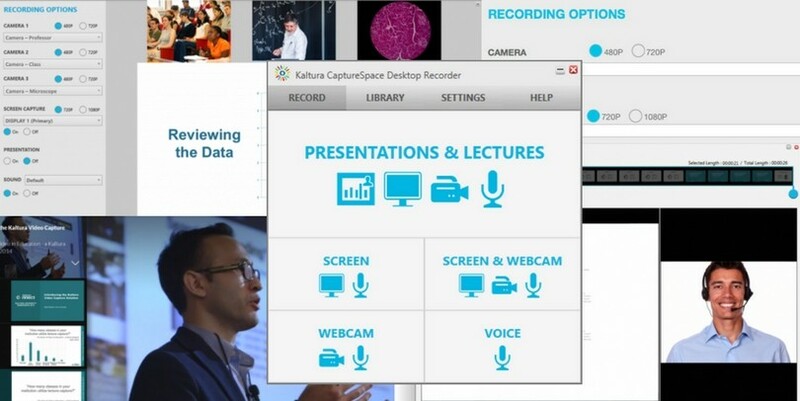 CaptureSpace lets you record videos from up to three cameras and later you can sync the videos with a powerpoint presentation. It also offers several other features such as screen recording which helps you record and create computer tutorials. Talking of which, Kaltura CaptureSpace gives you several record options to choose from and lets you create a perfect video tutorial based on your own preferences. When it comes to recording explainer videos, Kaltura offers these four options. Record Screen: The record screen feature lets you record your computer screen. That way, anything you do on your computer will be recorded simultaneously. You can either choose full screen for recording or you can select a portion of the screen. Furthermore, your voice will also be recording so that you can verbally tell your viewers what you’re doing or what you’re about to do. Record Screen with Webcam: This feature lets you record the computer screen as well as yourself via webcam. The recording is done in such a way that both the computer screen and the web can video will be show simultaneously in a split screen view. You can adjust the proportion of both screens as per your requirements. Webcam Only: As the name suggests, this feature lets you record videos via webcam only. No screen recording will be done when you choose webcam videos. Only your voice and webcam video will be recorded. Voice Only: Voice only feature lets you record your voice only with no videos at all. This feature is quite helpful for creating and releasing audio podcasts. Also read Getting Started With Kaltura CaptureSpace. So let’s see how you can record a screen video using CaptureSpace tool. Please make sure you have CaptureSpace tool installed on your PC and then follow these simple steps. Launch the CaptureSpace app on your Windows PC or Mac. Select Record from the menu bar at the top left corner. From the Record tab, click on Screen. On the screen that follows, select the area to capture. You can either choose the full screen view or select a particular area. Once you are done with that, click on Record button at the bottom right. When you click on Record button, your recording will start instantly. Also, when the recording is initiated, you can choose the drawing tools by clicking on the Draw tab. You can use these drawing tools to highlight certain aspects in your video. You can draw circles over some certain elements, show arrows and even write freehand text. You can also choose different colors to make the video more interactive and easy to understand. To end the video and save it, click on Done. So that’s how a screen video is recorded via Kaltura CaptureSpace. In the same way, you can record the other types of videos. The procedure is pretty much the same and if you learn how to record a screen video, you’ll find it extremely easy to record any kind of video using Kaltura CaptureSpace.